Are you looking for a red diesel supplier in Glasgow? You’ve come to the right place. We are red diesel suppliers in Glasgow and we also deliver other fuels and lubricants on a nationwide scale. Crown Oil has over 65 years of experience in the fuel industry. Red diesel is also called gas oil and is used to run off-road machinery; tractors, tower cranes, diggers, generators; as well as for heating units and building equipment. 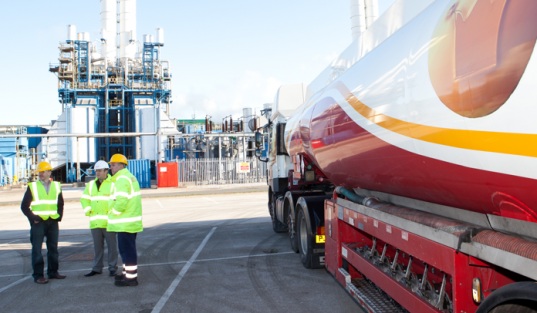 With our 24/7, out-of-hours emergency delivery service, you can rely on us to deliver your diesel fuel in case of an emergency. For regular users of red diesel, we offer a free fuel management service, where we monitor your gas oil consumption and keep track of your tank level to make sure you never run out. For more information regarding our red diesel and other fuels, call us on 0845 313 0845. Is your exceedingly high electricity bill stressing you out? Electricity bills are on the rise as electricity costs skyrocket. It has become a burden just to heat your home. What if you could take back the money you deserve and still have a warm house? Just go ahead and drop your electrical heating systems now. But how will I be able to heat my home? The solution is intuitive. Just install a red diesel heating system. Gas oil is an extremely cost effective fuel for home heating or agriculture and construction. Red diesel is also sometimes referred to as generator fuel. Since you are located in the wonderful area of Glasgow, you have immediate access to an abundance of red diesel. Glasgow is close to a couple of the largest red diesel providers in the world. Being close to a fuel distribution plant, allows you the coveted cheap red diesel. And since you are close to a refinery of the fuel, you will never be short on supply. You can buy red diesel in barrels of 205 litres or in bulk amounts ranging from 500-30,000 litres. Cheap red diesel prices await Glasgow customers due to your ideal location. We have several depots around the country and Glasgow boasts one of the closest positions. Call us today to speak with a friendly member of our team who can advise you on the correct fuel and best prices.